Hi everyone. Sorry I haven’t posted a proper blog post in a while, a lot has been going on. So firstly I have some good news! I have recently become a member of OCD Actions ‘Youth Network’ which I am really pleased to be a part of! 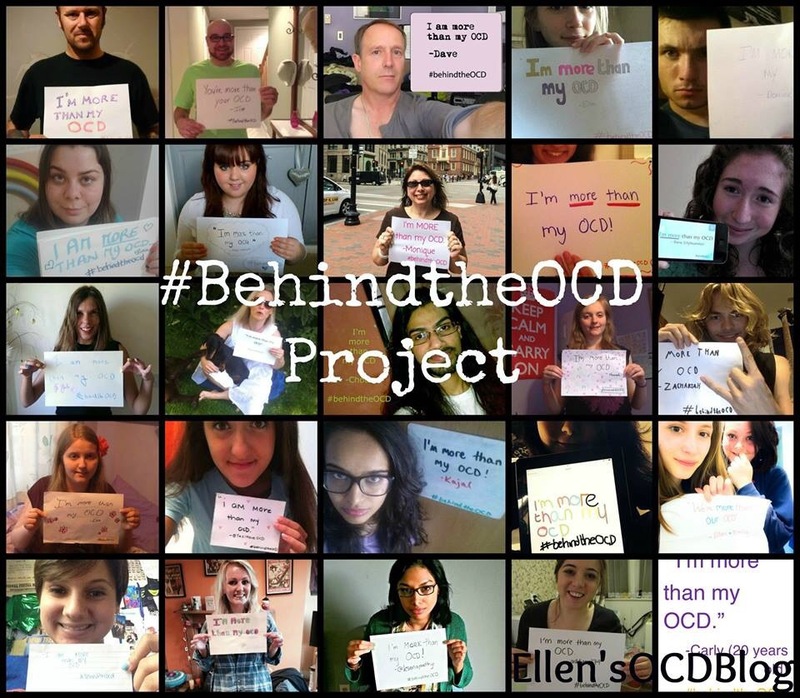 The aim is to raise more awareness and help other young people who suffer from OCD. I also as some of you may already know had an article published on the OCDactionYouth’s website. 😀 I am also currently helping review the OCD-UK Young Peoples Guide. On a more difficult note, I have just recently left my current psychologist. Not by choice, I just wasn’t able to continue seeing her. So that was extremely difficult. I was pretty much inconsolable when I left the session, and for the rest of the night, and the next day… I suppose you build up a strong relationship and ending it is just hard. I am currently waiting to get an appointment with another psychologist in the same place, but in some ways I think it just won’t be the same. I suppose change is inevitable and I’m going to go to my new appointment with a positive outlook . I am feeling a lot better about it now. I just have to hold onto the advice she gave me and keep on going! Another thing, my OCD (the counting part) has changed. Again. Like I said before I never go past the number 4 when counting, and I do specific counting patterns. I do the counting pattern several times on whatever I need to like normal, but then when I feel like the effect of the counting pattern has become negative I need to ‘refresh it’. I do that by repeating the same counting pattern a 4th time which would essentially ‘refresh’ the counting pattern making it ‘good’ and ‘positive’ again. So then I would continue and whenever I would have to count again the first time would be the most effective, then the second pattern would be effective, but not as good. Then when I get to the third one that’s ok, but if I need to count again I would repeat the counting pattern a fourth time which would refresh the chain of counting making it ‘good’ again. After that I would continue counting which would now be the first time in the sequence, which is the most effective one. Confusing right! Hopefully that made a small bit of sense. I would of really liked to discuss this new concept in my head with my psychologist that I just left, but I can’t. Hopefully she might read this. Maybe, possibly. 😀 I really don’t notice my counting pattern changing. It’s just one day I’m like ‘Woah, it’s different’. I really don’t understand why. Now onto World Mental Health Day! So today, the 10th of October 2013 is World Mental Health Day. I unfortunately haven’t been able to do much as I have had school all day, but I’m hoping all of you have checked out Jamie Fletcher’s ‘Time to Change’ video which is linked at the top of this post. If anything I really want to get this video more noticed, it really had an impact on me! So please share it round! It is also National OCD Awareness Week next week from the 14th-20th October 2013. I really hope to do something for it! I’m off Wednesday, Thursday and Friday next week from school, yay! So that gives me a lot more time to do something to support it. 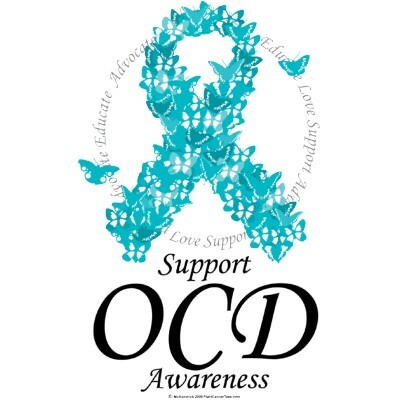 I’m going to be wearing something teal everyday that week to support OCD Awareness Week. Teal is the colour of the awareness ribbon. Let me know if you are doing anything special for WMHD or OCDAW! I’m going to hopefully do a blog post on the OCD Awareness Week talking about it. Previous Post My article for the OCDatschool website!